"You've Lost that Lovin' Feeling" is the most played song of the 20th century, according to performing rights organization BMI. It was written by Cynthia Weil, along with her husband and songwriting partner Barry Mann, and producer Phil Spector. Alongside contemporaries like Carole King and Gerry Goffin, Weil changed the sound of popular music in the 1960s. Weil wrote big-sounding songs in a tiny office on Broadway. She grew up just a few block north, on Manhattan's Upper West Side, dreaming of one day working as a playwright and director on the city's most infamous stretch of asphalt. Weil studied theater in college, but a family friend encouraged her to try her hand at writing song lyrics. 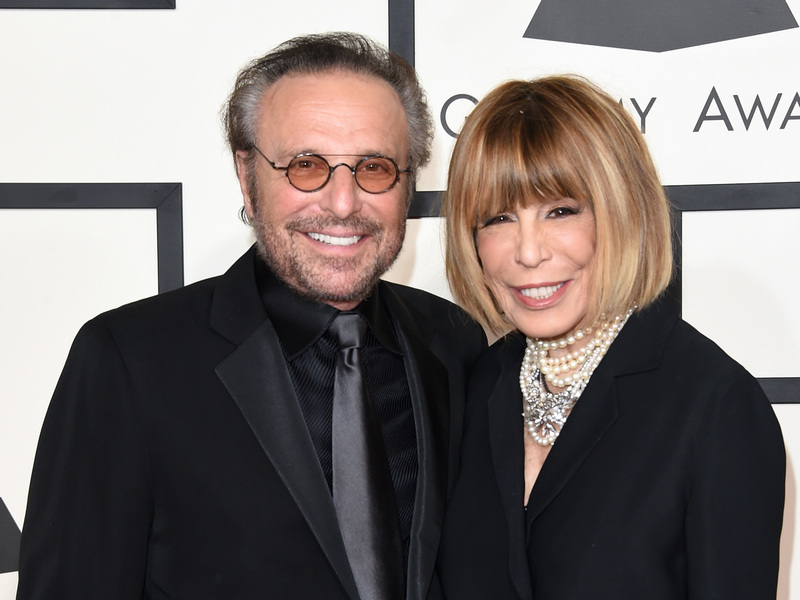 When she met musician Barry Mann, he immediately recognized her unique amalgam of sophistication and empathy. A native New Yorker, Weil still had the ability to perceive the city's wonder through the eyes of an outsider. This can be heard in the original version of the duo's song "On Broadway," written for the all-girl group, The Cookies. Weil is one of the architects of the Brill Building Sound, an era of urban teenage pop led by songwriters who were barely out of their teens themselves. However, she didn't just write about young love and broken hearts. Weil's lyrics also reflected her social conscience. When she and Mann teamed up with famed songwriting duo Jerry Leiber and Mike Stoller to re-work "On Broadway" for the all-male group The Drifters, it went from an upbeat and wide-eyed tune to a much grittier tale of hunger, poverty and struggle. As girl groups and brotherly duos gave way to the British Invasion, Weil stayed relevant with dark, prescient songs that reflected massive cultural change. Weil co-wrote the song "We Gotta Get Out of this Place" recorded by UK band The Animals in 1965. Sung by Eric Burdon in his tough, cavernous baritone, the song became emblematic of the Vietnam War and of U.S. military conflicts ever since. It spoke directly to baby boomers' dawning epiphany that they didn't want to live like their parents. This includes Bruce Springsteen, who has said this song is at the heart of his entire career. Though she wrote dozens of hits, Weil enjoyed a reputation as a songwriter's songwriter. When country singer Dolly Parton was looking to expand into pop music in the late 1970s, she recorded Weil and Mann's "Here You Come Again." Parton is a renowned composer herself, yet it was this song that launched her massive crossover success as an artist. In the new millennium, Weil finally made it to a theater on Broadway as a character in the hit musical Beautiful about her old friend, Carole King. Still working to this day, Weil is in both the Rock & Roll Hall of Fame and the Songwriter's Hall of Fame, and her writing has helped sell an estimated 200 million records. Weil has also found a new calling as an author of young adult novels. Weil says that successful songs are a lot like novels, with a beginning, a middle and an end. Yet her one story without an end is her lifelong partnership with Barry Mann, which inspired the 1989 hit for Linda Ronstadt and Aaron Neville, "Don't Know Much." After nearly six decades together, Weil and Mann still finish each other's songs and each other's sentences. THE RIGHTEOUS BROTHERS: (Singing) You've lost that lovin' feelin'. "You've Lost That Lovin' Feelin'" - it was one of the most-played songs of the 20th century. 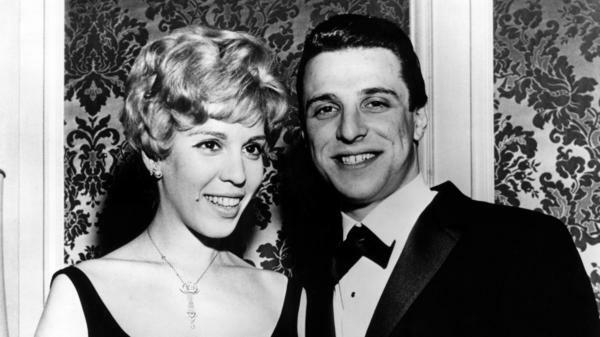 It was written by Cynthia Weil with her husband and songwriting partner Barry Mann. Alongside contemporaries such as Carole King and Gerry Goffin, Weil changed the sound of popular music in the 1960s. She's in the Rock & Roll Hall of Fame, and her writing has helped sell an estimated 200 million records. And she's still working. Meredith Ochs has her story in the series The Women Behind The Songs. THE COOKIES: (Singing) I hear the neon lights are bright on Broadway. MEREDITH OCHS, BYLINE: Cynthia Weil wrote big-sounding songs in a tiny office on Broadway. She'd grown up just a few blocks north on Manhattan's Upper West Side dreaming that one day she'd work as a playwright and director on the city's most infamous stretch of asphalt. She studied theater in college but was encouraged by a family friend to try her hand at writing song lyrics. When she met musician Barry Mann, he immediately recognized her unique amalgam of sophistication and empathy. You can hear it in the original version of the duo's song "On Broadway" written for the all-girl group The Cookies. A native New Yorker, Weil had the ability to perceive the city's wonder through the eyes of an outsider. THE COOKIES: (Singing) They say that you can be someone. And it don't matter where you come from. I swear I've got to get there, or I'll die. OCHS: Weil is one of the architects of the Brill Building sound, an era of urbane teenage pop by writers who were barely out of their teens themselves. She didn't just write about young love and broken hearts. Weil's lyrics also reflected her social conscience. When she and Mann teamed up with famed songwriting duo Jerry Leiber and Mike Stoller to rework "On Broadway" for the all-male group The Drifters, it went from upbeat and wide-eyed to a much grittier tale of hunger, poverty and struggle. THE DRIFTERS: (Singing) And you ain't had enough to eat. The glitter rubs right off, and you're nowhere. OCHS: As girl groups and brotherly duos gave way to the British Invasion, Weil stayed relevant with dark, prescient songs that reflected massive cultural change, like this one recorded by U.K. band The Animals. OCHS: Sung by Eric Burdon in his tough, cavernous baritone, it became emblematic of the Vietnam War and of U.S. military conflicts ever since. It spoke directly to baby boomers and their dawning epiphany that they didn't want to live like their parents. One of them is Bruce Springsteen, who says this song is at the heart of his entire career. THE ANIMALS: (Singing) We gotta get out of this place if it's the last thing we ever do. We gotta get out of this place. Girl, there's a better life for me and you. OCHS: Though she wrote dozens of hits, Weil enjoyed a reputation as a songwriter's songwriter. When country singer Dolly Parton was looking to expand into pop music in the late 1970s, she recorded Weil and Mann's "Here You Come Again." OCHS: Parton is a renowned composer herself, yet it was this song that launched her massive crossover success as an artist. DOLLY PARTON: (Singing) Here you come again. Just when I'd begun to get myself together, you waltz right in the door just like you've done before and wrapped my heart round your little finger. OCHS: In the new millennium, Weil finally made it to a theater on Broadway as a character in the hit musical "Beautiful" about her old friend Carole King. She also found a new calling as an author of young adult novels. Weil says that successful songs are a lot like novels with a beginning, a middle and an end. Yet her one story without an end is her lifelong partnership with Barry Mann, which inspired this 1989 hit for Linda Ronstadt and Aaron Neville. LINDA RONSTADT: (Singing) Look at these dreams so beaten and so battered. AARON NEVILLE: (Singing) I don't know much. OCHS: After nearly six decades together, Weil and Mann still finish each other's songs, and they still finish each other's sentences. LINDA RONSTADT AND AARON NEVILLE: (Singing) That may be all I need to know. KELLY: Music critic Meredith Ochs is the author of "Rock-and-Roll Woman." Her profile of Cynthia Weil is part of our series The Women Behind The Songs. NEVILLE: (Singing) So much I've never broken through. RONSTADT: (Singing) And when I feel you near me, sometimes I see so clearly. LINDA RONSTADT AND AARON NEVILLE: (Singing) The only truth I'll never know is me and you. Transcript provided by NPR, Copyright NPR.